Georgia Tech's acceptance rate was just 23 percent in 2017. The institute has a holistic admissions process, so grades and SAT/ACT scores are just one part of the application. The admissions folks will want to see that you have taken challenging courses, participated in meaningful extracurricular activities, and written an effective essay. The institute uses the Common Application. Georgia Tech consistently ranks as one of the top public universities and top engineering schools in the United States. It also made our lists of top southeastern colleges and top Georgia colleges. Campus Features: Georgia Tech's 400-acre urban campus gives students close proximity to area restaurants, museums, and a wide range of cultural events. Athletics: The Georgia Tech Yellow Jackets compete in the NCAA Division I Atlantic Coast Conference. Highlights: Georgia Tech represents one of the best values in the country for science and technology fields. The school places a heavy emphasis on research, so students gain plenty of hands-on experiences. For the 2017-18 admissions cycle, Georgia Tech had a low 23 percent acceptance rate. Below are standardized test scores of admitted students organized by score percentile. If you compare SAT scores for Georgia colleges, you'll find that only Emory University is similarly selective. Roughly half of Georgia Tech applicants submit ACT scores and half submit SAT scores. An average ACT score is a 21, so you can see that successful applicants score significantly above average. Georgia Tech GPA, SAT Scores and ACT Scores for Admission. The GPA and standardized test score data in the graph is reported by the actual applicants to Georgia Tech. You can see the real-time graph and calculate your own chances of getting into Georgia Tech with a free account at Cappex. The Georgia Institute of Technology is a highly selective public university that accepts only a quarter of all applicants. Accepted students tend to have both high grades and high test scores. In the graph above, the blue and green dots represent accepted students, and you can see that the majority of students who got in had a high school GPA of 3.5 or higher, SAT scores (RW+M) of 1200 or higher, and ACT composite of 25 or higher. The higher those numbers are, the more likely a student is to be accepted. Note that a few students with high GPAs and strong test scores still got rejected or waitlisted from Georgia Tech. In fact, there's a lot of red (rejected students) and yellow (waitlisted students) hidden behind the blue and green in the upper right of the graph. See the rejection data for Georgia Tech to get the full picture of students who do not get in. Your Academic Preparation: Have you taken the most challenging and rigorous courses available? Advanced Placement, IB and Honors courses can all play an important role here, as can college credits you earned as a high school student. Your Contribution to the Community: This is where your extracurricular activities come in. Georgia Tech explicitly notes that it is not looking for the quantity of your activities, but the depth. They want to enroll students who show depth and dedication to something outside of the classroom. 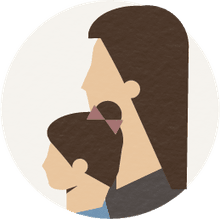 Your Personal Essays: Along with a winning Common Application essay, the admissions folks will be looking for thoughtful supplemental essays. Make sure the essays present something meaningful about you and that they are well written. Letters of Recommendation: While you need submit only a counselor recommendation, the university invites you to submit a teacher recommendation as well. This would be a good idea if you have a teacher who knows your work well and believes in your abilities. Interview: While the institute does not conduct interviews on campus, they do recommend that students for whom English is not their first language arrange an interview with a third-party provider. This helps Georgia Tech learn if your language skills are adequate for college success. Institutional Fit: This is a broad category, but the idea is simple. Georgia Tech is looking for students whose strengths and passions align with the goals of the institute and the demands of the particular major the applicant plans to pursue. Georgia Tech GPA, SAT Scores and ACT Scores for Rejected and Waitlisted. Data courtesy of Cappex. The top graph makes it look like most students with grades up in the "A" range and high SAT or ACT scores will be admitted. However, if we look behind the accepted student data on the Cappex graph, we see an awful lot of red (rejected students) and yellow (waitlisted students). Clearly many students with strong numerical measures are not getting into Georgia Tech. You'll also notice a lot of yellow in that upper right corner. This tells us that Georgia Tech relies heavily on waitlists, and many students with top grades and test scores are put into waitlist limbo while the university finds out if they have met their enrollment targets. Why Are Strong Students Rejected from Georgia Tech? Georgia Tech has a holistic admissions process, so the admissions officers are looking at the whole applicant to find good matches for the institute. Grades and test scores are just one part of the equation. Clearly you need high grades and strong SAT/ACT scores, but that alone isn't enough. Students who haven't demonstrated meaningful involvement in co-curricular activities are likely to be rejected for they don't show evidence that they will enrich the campus community. Also, students who write application essays that don't seem authentic or that are shallow might be rejected. Finally, keep in mind that the Georgia Tech admissions folks will be thinking about "institutional fit" as they decide whether to accept or reject an applicant. An important consideration for this piece of the equation is making sure your skills and interests align with the major you indicate you want to pursue. If you state that you want to go into an engineering field but you clearly struggle in your math courses, this would be a giant red flag for institutional fit. Don't let all of this red in the graph discourage you, but you should take it into consideration as you choose the schools to which you apply. You'd be wise to consider a highly selective school like Georgia Tech a reach, not a match or safety, even if your grades and test scores are in line for admission. As you work to create your college wish list, you'll want to consider many factors in addition to selectivity. As you compare schools, be sure to look at costs, financial aid data, graduation rates, and academic offerings. Note that Georgia Tech has a rather low 4-year graduate rate, but this is not unusual for technological schools that emphasize hands-on research, co-op, and internship experiences. Georgia Tech doesn't have many equals on the public university front, although Purdue University and UC Berkeley both have outstanding engineering programs. 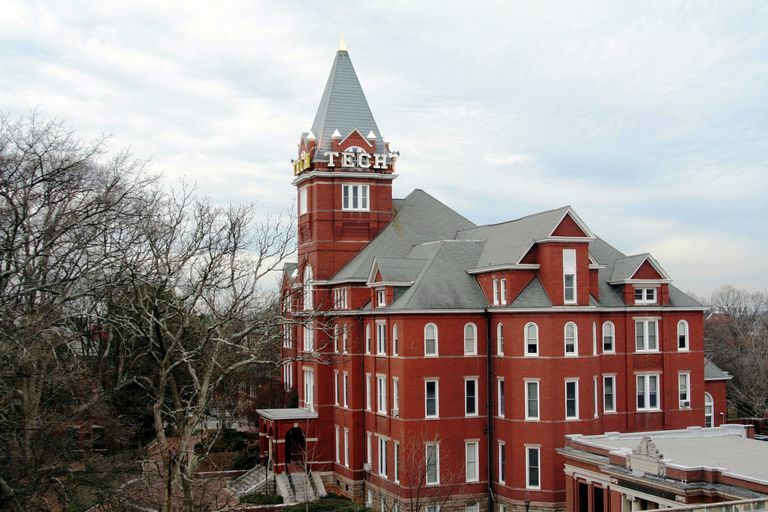 Many Georgia Tech applicants want to be in Georgia and also apply to the University of Georgia in Athens. Georgia Tech applicants also tend to look at private institutions with strong science and engineering program. Carnegie Mellon University, the Massachusetts Institute of Technology, Cornell University, and Caltech are all popular choices. Just keep in mind that all of these schools are highly selective and you'll also want to apply to a couple schools where you are very likely to be admitted. What GPA and Test Scores Do You Need to Get into Tulane University?